At Billcar, we have been providing 4×4 parts and engine repairs to both trade customers and vehicle owners directly since we were established in 1981. On the whole, we are able to recondition both petrol and diesel engines to a range of vehicles, including passengers, commercial and light vehicles. We are industry-leading specialists in Nissan, Ford, Mitsubishi, Toyota and Isuzu engine repairs, reconditioning and engine modifications. Moreover, we can complete a chassis treatment to tackle and prevent rust. 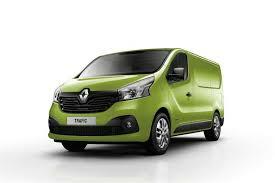 For commercial trucks, we cater for the Nissan Cabstar and Renault Trafic. For the latter, we can provide common rail diesel cylinder head assemblies. 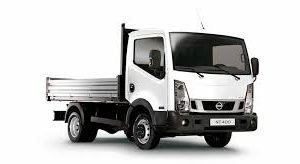 For the Nissan Cabstar, we have a wide range of products. This includes the ACL main shells/bearings, injectors, crankshafts, D40 Single crank gears, the F24m Turbocharger, Inlet Turbo Gasket, valve spring and thermostat. We also stock conrods (connecting rods) and bolts, plus head gaskets and bolts. Additionally, we supply the Nissan D40 D40/R51/F24 EGR Valve. For commercial truck parts and accessories at great prices, look no further than Billcar. To keep your vehicle in the best condition, and make your drives go smoothly, browse our website, or contact us for more details. We want you to be completely satisfied with your purchase, which is why we offer returns within 28 days provided the items are unused and in original packaging. Most of our products are available online, but if you would like more specific information, call us on 01743 291740, or email us at engineering@billcar.co.uk.